CHS sports section: Linda’s Drunken Spelling Bee — Full coverage! 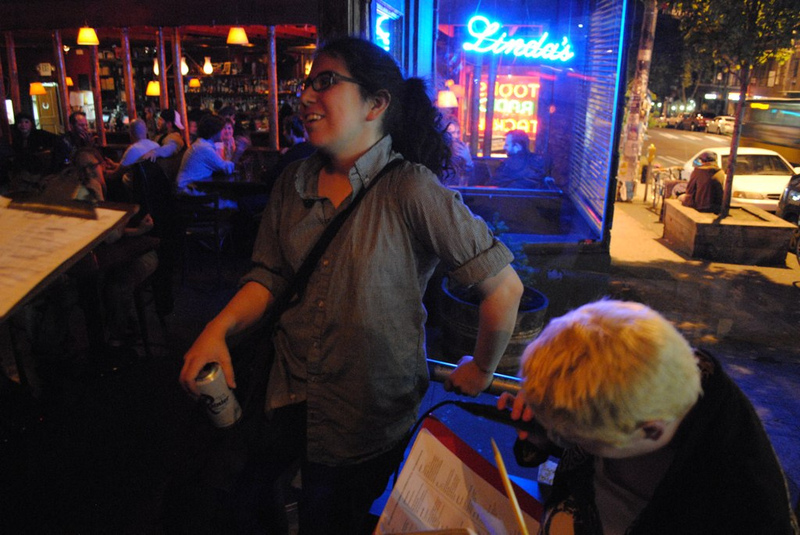 Monday night’s Linda’s Drunken Spelling Bee wasn’t your typical bar spelling bee. These guys were using the 2003 Scripps National Spelling Bee’s list! Hosts Bryan Glynn and Meg van Huygen roll with simple rules: Say it, spell it, and say it again. After three rounds and forty people down, it came to a match-up between Josh Porch and Angelina Allen. The battle began and, after six strong rounds and who knows how many cheap beers later, Allen won. Her victory word: g-e-n-d-a-r-m-e. Or was it g-e-n-d-a-r-n-e? We don’t know. R-a-i-n-i-e-r. Next week Linda’s hosts a Capitol Hill thumb war battle so limber up.